Dangerous overcrowding continues at Tulsa County’s David L. Moss Criminal Justice Center, according to online jail records. With 1,751 inmates in custody on Monday, April 28, 2014, the Tulsa County lockup housed 37 more residents than the jail’s maximum rated capacity. The recent Monday-morning population was about 100 inmates more than than the jail can effectively handle. The jail’s rated and practical capacity were spelled out in an Oct. 4, 2013 lawsuit Tulsa County Sheriff Stanley Glanz filed against the Oklahoma Department of Corrections. The jail cannot adequately house a full contingent of 1,714 inmates because gender and security concerns require some inmates to be segregated from each other, and because some beds cannot be used due to recurring maintenance, Glanz explained in court documents. Glanz’ lawsuit seeks to force the state DOC to more quickly transfer inmates facing prison sentences to state correctional facilities. Although a court rejected most of Glanz’ arguments, recent news reports indicate a cost-cutting initiative now has the Dept. of Corrections more quickly transferring state inmates out of county jails. The Associated Press reported on April 5 that DOC director Robert Patton had increased the daily intake into state facilities nearly three-fold, from 35 to 100 new inmates daily. Corrections officials are reportedly moving inmates out of county jails into work centers and halfway houses. Some county jails officials across the state complained about the move, saying their jail operations relied on payments for DOC inmates. The initiative is more likely to please Tulsa jail officials, who are facing lawsuits alleging neglect at Tulsa’s crowded jail facility. A glut of penitentiary bound inmates, however, might not be the only reason the local jail is overcrowded. Other groups of inmates systematically contribute to the crowded conditions in Tulsa County jail. Documents included in Glanz’ filing indicate the April 28, 2014, population of 1,751 was only one of many times the jail has been filed beyond capacity in recent months. A court document lists 17 days in September, 2013, when more than 1,750 inmates were in custody. On Sept. 9, 2013, the jail housed 1,848 inmates – nearly 200 more inmates than Glanz says the jail can practicably house. In practical terms, overcrowding means inmates are likely required to sleep on the floor in “boats” – plastic shells resembling a snow-sled. Overcrowding elevates the prospect of violence among inmates and increases the potential that guards will neglect health and safety requirements. The ongoing overcrowding highlights concerns detailed in lawsuits related to recent deaths at the jail. In one lawsuit, the family of a man who died at the jail is alleging jailers failed to provide mental health care during five days in which the man suffered a mental breakdown in a cell. Another filing alleges two women and a man died at the jail, and another woman nearly died, as a result of ongoing medical neglect. One of the lawsuits says Glanz and the jail’s healthcare company – Correctional Healthcare Management of Oklahoma – have been repeatedly warned of systemic deficiencies, which they refused to correct even after multiple deaths. The Tulsa World reported in September, 2013, that six inmates had died in the jail during the 20 months since Jan. 2011. The recent death rate at Tulsa’s jail compares with a high death rate reported in 2005, when the Tulsa World reported 17 inmates had died at the jail during the prior five years. Four of those deaths were the result of suicide. Deaths between 2000 and 2005 quadrupled the death rate of the previous five years, the Tulsa World reported at that time. With a death rate of 167 per 100,000 county jail inmates in 2009, Oklahoma far exceeded the nationwide average death rate among local jail populations. Nationwide, during the years 2000 through 2009, inmates died in jail at the rate of 123 per 100,000 inmates, a 2011 study by the Bureau of Justice Statistics found. In the aggregate, illnesses accounted for about half of all jailhouse deaths, but suicide was the leading single cause of death in jails nationwide. Heart disease – the leading single cause of illness-related deaths in jails – resulted in 21 percent of all deaths. Otherwise, suicides accounted for 32 percent of all deaths in jails nationwide during 2009. 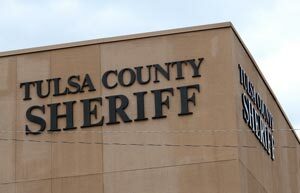 A large number of 92 serious suicide attempts in county jails statewide occurred in Tulsa County jail during the 20 month period for which the Tulsa World examined incident reports. Why is Tulsa County Jail So Crowded? Several factors contribute to crowded conditions in Tulsa County jail. The usual contingent of county jail inmates includes those awaiting trial who have not posted bond, and those serving sentences for misdemeanor offenses. Others are booked into the jail and then immediately bond out. At least twice in the past year, Tulsa jail officials have asked local law enforcement agencies to cut back on the number of low-level offenders arrested and brought to jail for booking. Each time, news reports pointed to an overcrowded Tulsa jail as the cause. In January, 2014, local law enforcement agencies were advised by radio message of long waits at the jail, suggesting officers should ticket rather than arrest people accused of minor infractions. The jail housed 1,732 inmates that Saturday – 19 fewer than the jail’s recent population on Monday morning, April 28, 2014. Beyond the typical county jail contingent of inmates serving sentences or awaiting trial, the facility houses some inmates sentenced to state prison and awaiting transfer. In his lawsuit against the Oklahoma Dept. of Corrections, Sheriff Glanz alleges the DOC has consistently failed to timely pick up inmates sentenced to state prison. A judge dismissed portions of that lawsuit that claimed the DOC is obligated to pick up penitentiary bound jail inmates within 72 hours of receiving notice that the local jail is overcrowded. The judge allowed another of Glanz’ allegations to stand – leaving the door open for arguments about how long the state can wait until it picks penitentiary bound inmates. The DOC’s recent move to expedite transfer of state prisoners could resolve that dispute. A significant number of those listed on the April 28, 2014, jail roster were arrested on warrants for failure to pay fines or court costs. 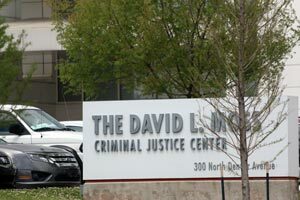 The Tulsa World reported in November, 2013 that nearly three out of 10 times someone was booked into David L. Moss Criminal Justice Center during July, 2013, the reason was at least in part for failure to pay. In July, 2004, fewer than one in 10 inmate bookings resulted at least in part from failure to pay costs. Many of those arrested on a failure to pay (FTP) warrant post bond and are released within a few hours. Others are booked for failure to pay when they are picked up on new, unrelated charges. The old court-cost or fines can result in higher bond that make it more difficult to bond out on new charges. When Wirth Law Office examined the jail’s April 28, 2014, inmate roster we found that162 inmates were in custody in part for failure to pay court costs. Of those, only nine were held solely for failure to pay costs, but several others remained in jail on minor charges for which they likely would have otherwise been released if not for FTP warrants. Some of those booked for failure to pay were then held pending hearings related to probation violations or suspended sentences, likely related to failure to pay fines and costs. Many of the failure to pay warrants relate to recent cases, but at least 10 failure to pay cases on the April 28, 2014, inmate roster referred to cases more than 25 years old – cases from 1988. Another reason inmates remain in the Tulsa jail is because they are held for some other agency. Nearly 500 inmates were detained in Tulsa County jail April 28, 2014, on hold for some other agency. Many were held for various state or local law enforcement agencies, but the largest groups were those held for Immigrations and Customs Enforcement (ICE) and the U.S. Marshals Service. Inmates held for ICE and U.S. Marshals were discussed in Glanz’ lawsuit against the DOC. Glanz’ filing claimed he has a statutory obligation to hold federal detainees. The DOC rebuked that claim. Tulsa County jail has a voluntary agreement with ICE, the DOC argued. It is under the terms of that voluntary contract that so many inmates remain in county jail pending possible immigration actions. Wirth Law Office identified at least 135 inmates detained in Tulsa County jail April 28, 2014, solely on ICE holds. Another 100 ICE hold inmates faced additional charges or were held for other agencies. Many of those held on ICE detainers have been in Tulsa County jail for several months. According to the online jail records, one man in Tulsa County jail for more than a year was held only on an ICE hold and a U.S. Marshal hold. Another was held on state charges along with an ICE hold for more than two years. Among those for whom an ICE hold was the only listed reason for their detention, most were arrested within the past month. Many, however, were held longer than the 48 hours a local jail is allowed to keep a person in custody when an I-247 form is issued under the ICE detainer program. We would not assume Tulsa County jailers strictly comply with the detainer rules, but there is another reason immigration detainees are likely to remain in Tulsa’s jail longer than ICE hold requests typically allow. Under the contract with ICE, Tulsa County jail serves as one of two detention facilities in Oklahoma where federal immigration detainees are confined. That contract allows the local jail to hold inmates at the request of ICE. Tulsa County gets $54.13 a day for inmates held for ICE under that contract. Tulsa County jail is effectively a federal immigration detention center. And that’s not the only way immigration detainees can wind up on Tulsa County Jail. About 13 percent of inmates in Tulsa County jail on April 28, 2014, were detained in part on ICE detainers. Nearly 8 percent were held solely on ICE detainers. Yet ICE was the arresting agency for less than 1 percent of those listed on the inmate roster. Tulsa Police Department was listed as arresting agency for more than 800 inmates. Tulsa County sheriffs deputies arrested about 500 more. Local officers in Broken Arrow and Sand Springs brought in a few dozen inmates, as did officers from the Oklahoma Highway Patrol. ICE arrested scantly more than a dozen inmates listed on the roster. In addition to the Tulsa County Sheriff’s contract with ICE officials, two factors may account for large difference between the number of ICE holds and the number of ICE arrests. The Tulsa County Sheriffs Office is one of only 36 law enforcement agencies nationwide involved in a power-sharing agreement with immigration officials. By the terms of that 287(g) agreement, certain Tulsa deputies may act as immigration officials. Under ICE supervision, Tulsa’s County’s 287(g) officers can generate the ICE holds that keep inmates in Tulsa County jail. Then under the jail’s contract with ICE, immigration detainees can be held – at the expense of ICE – for longer than the usual 48 hours. In addition to the 287(g) program, Oklahoma’s HB 1804 of 2007 requires local jail officials to investigate the immigration status of suspected unauthorized immigrants. Those HB 1804 interrogations may lead to additional ICE holds. Another other group of federal inmates crowding Tulsa County jail are those held for the U.S. Marshal Service. The Marshal service acts as the long arm of the law for federal courts and federal corrections agencies. U.S. Marshal holds were listed among the reasons about 100 inmates were confined at Tulsa County jail on April 28, 2014. The Marshal service reportedly pays Tulsa County $59 daily for inmates held at its behest. An analysis compiled by MGT of America, Inc. in February, 2014 estimated the true costs to house an inmate at the David L. Moss Criminal Justice Center is about $65 a day. Even though Tulsa County taxpayers may chip in a few dollars each day to hold federal inmates, ICE and the U.S. Marshal Service are rich clients for Tulsa County jail. The state Department of Corrections pays $27 a day for inmates awaiting transfer to state penitentiaries – less than half of the ICE daily rate for inmates housed in Tulsa County. Glanz’ lawsuit had sought to increase the fee for holding penitentiary bound state prisoners. Has Anything Changed Since 2005? In 2005, when Glanz’ advocated return of the jail to a county operation after five years under management by a private company, he said cost considerations can lead jailers to take shortcuts – especially with regard to healthcare. Private companies, he said, have an incentive to keep costs low. “It’s not just [Corrections Corporation of America]; it’s all these medical providers. The ideal situation is to have your own medical staff,” Glanz told the Tulsa World in 2005. Although the county jail returned to public operation under Glanz in 2005, private contractors still provide medical services, which is exactly the scenario the sheriff warned about. The Tulsa jail’s death rates in the past two years has remained as high as the alarmingly high death rate reported under a private operator. Lawsuits suggest poor medical care contributes to the high death rate. Wirth Law Office’s Oklahoma civil law attorneys are available to assist those who suffer as a result of crowded conditions in Tulsa’s county jail. 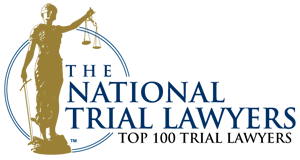 If you or a family member has been the victim of neglect or abuse at the David L. Moss Criminal Justice Center, contact Wirth Law Office’s Tulsa personal injury attorneys for a free consultation. 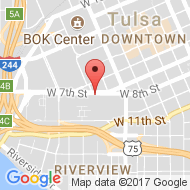 Wirth Law Office is also uniquely positioned to assist those detained in Tulsa County jail on ICE holds. Our Tulsa immigration attorney is a fluent Spanish speaker, and experienced with U.S. immigration matters and criminal matters. If you have been arrested or are facing arrest for failure to pay court costs, our Tulsa criminal defense attorneys may also be able to help you. Prosecutors sometimes request a failure to pay warrant after the court’s opportunity to impose a jail sentence has passed. When you face ongoing legal problems as a result of an old fine or court costs you cannot afford to pay, contact a Tulsa attorney at Wirth Law Office. For a free, confidential consultation, call Wirth Law Office at (918) 879-1681. You may also send your question using the form at the top of this page.